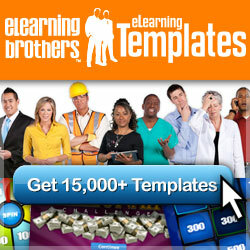 What are your thoughts on activity and navigation instructions in eLearning? I see it as a balance where enough instructions are given (or good user interface design) so energy isn’t wasted on figuring out how something works or how to progress … ? ? ? Are you treating your new hires or people who do your online learning like they don’t have a brain? 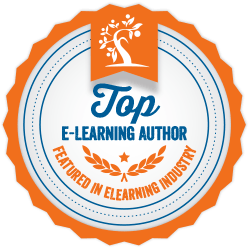 Often I see instructional text for activities and navigation through eLearning content is done in a way that treat staff or the eLearning audience as though they’re thick. Here are some ways I’ve seen eLearning navigation and instructions treat its audience like idiots. Push next to continue… repeat, repeat, repeat, did you get that, do you know how to push next? Only ever give instructions in text and make sure it includes lots of detail, okay now you can read the next sentence. Always put instructions in for the lowest common denominator, okay now you can read the next sentence. Never take into account previous experiences with technology, websites and adult learning – assume everyone is a blank slate. Ensure no content can be skipped (I mean missed). The assumption is if you didn’t read it, see it or hear it here then you won’t know or learn it. Never mind how disengaged you are if navigation’s locked then you must have learnt it. To save you getting lost you can move forwards (next button) or backwards (back button) only. Blatantly state when it is the end of the module and give precise instructions on how to exit it – after all you don’t want them stuck in your eLearning course forever!! They’ve got work to do. I know I’ve focused on the negative on this post, I’m still getting surprised as I keep seeing the above techniques again and again. Company set eLearning templates are the biggest culprit for continuing these bad navigation and instructional practices, most allow for very little creativity room. In my next blog I’ll give some examples of making navigation and instructions more natural and interesting to change the tone of the eLearning being delivered. Have you seen any other navigation and instructional techniques that didn’t work or treated the audience like idiots? Please share and comment below. If you made it to the here, let me know by liking this post. You may have noticed I’ve been quiet for some time on my blog – well silent for 6 months to be exact. I’ve had an unplanned blogging break. For the past 6 months I’ve needed to switch my focus into other areas of my life – my family, work and personal life. The last 6 months have been both challenging and rewarding. Career wise I’ve transitioned to become a digital nomad based mainly in Vietnam. It’s been an exciting and interesting time. I have been fortunate to be able to work full-time whilst exploring life as a digital nomad. Thank you to my wonderful clients (you know who you are), for giving me great remote working opportunities. My young family and I have enjoyed exploring and learning how to live and work globally so much we’ve decided to stay on for a while. …so I’ve not been writing as much and feel a bit guilty. This led me to the question – is it ok to take a blogging break? And I believe the answer to this depends on what your intentions are with blogging? For me I find blogging incredibly useful for personal learning, reflecting and improving my practice. I’ve still been reflecting in the last 6 months don’t get me wrong, it’s just when I blog my reflecting and thinking becomes deeper and more purposeful. Also as I look into the future I find it easy to forget about my past learnings and achievements, my blog acts as a reminder. Sometimes I even go back and use my past learnings to help me solve current challenges. I feel blogging makes me more visible which makes me more accountable and driven for my professional development. This has in turn created more opportunities. To be honest though it does take a lot of time and energy to maintain. And the last 6 months I chose to use my energy elsewhere. I want to put content on here that is not only useful to my own development but also hopefully useful and interesting for you. So here I am back for 2018 and ready to blog about interactive videos, tools, techniques, curated content strategies, learning strategies and more. I look forward to learning more, and sharing more. Thank you to all those who took the time to read, and especially to those who commented on or liked a post to let me know you’re out there 🙂 Happy New Year! On my learning plan for this year I’m experimenting with becoming a digital nomad and will be vlogging my experience. Here I am preparing and deciding what technology to take with me. I’ll also be taking my Voip headset for international and Skype calls. Wish me luck on my journey and I’ll share what happens on the other side in Vietnam.